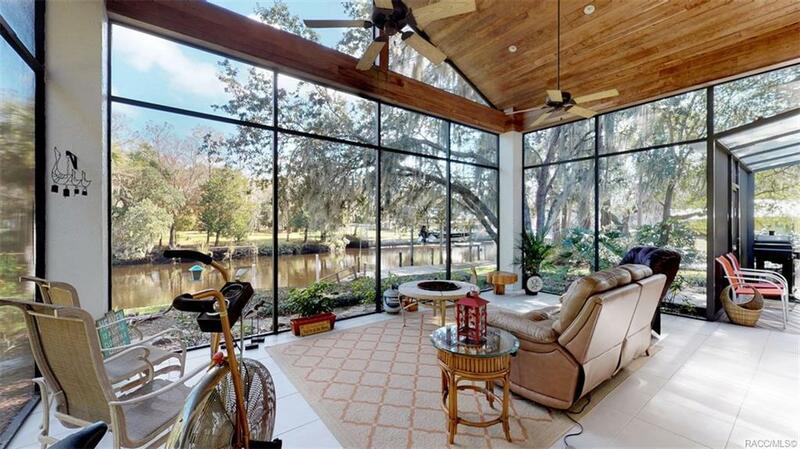 Beautiful waterfront home with fantastic views located on 141 ft of the Withlacoochee River! This 3 bed, 2 bath, 3 car garage home is on 1.4 (MOL) private, landscaped acres. Home features include 9"8" ceilings, generous angled 100 ft screened porch/lanai, great water views from the living area, porch, and kitchen, updated kitchen and baths w/ new dishwasher, refrigerator & cooktop, fresh exterior paint, new carpet in bedrooms. The exterior includes RV spot, huge 30x30 detached metal garage on slab w/electric and water, floating dock, boat lift and cover. Deep sailboat water, access to Gulf with no bridges! Home shows beautifully - you will fall in love with this home!